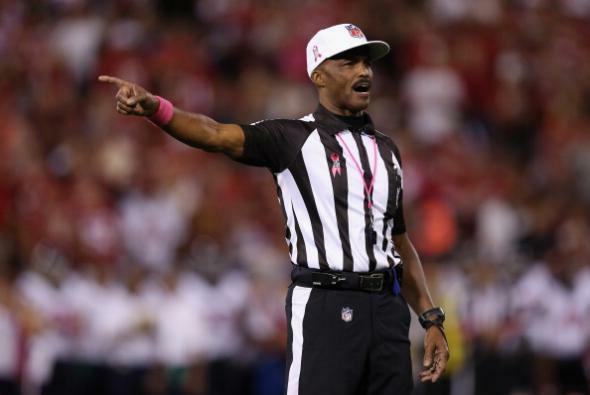 Mike Carey, Washington nickname: NFL ref didn't work team's games for years because of objections. Mike Carey during a game last season. Told a search of game logs dating back as far as 1999, his fourth year in the league, revealed Carey had not worked a preseason or regular season home or away Washington game since the opening week of the 2006 season, he smiled coyly, like a man whose cover had finally been blown. Carey, who in 2008 became the first black man to work as the head referee in a Super Bowl, said he made the request to the league’s referee scheduling supervisors and isn’t sure if other NFL figures, including commissioner Roger Goodell, were aware of his stand. Carey will be working this season as an analyst for CBS Sports, whose chairman has said he will allow individual broadcasters to decide whether they want to use Washington’s nickname.